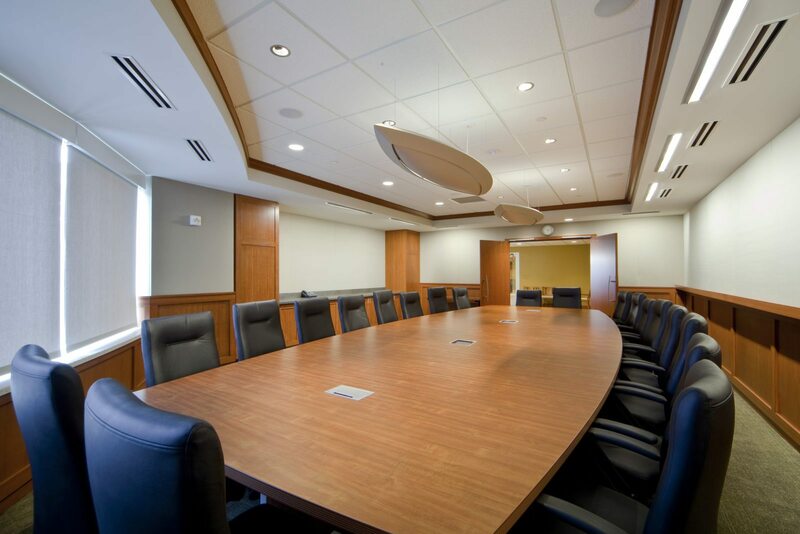 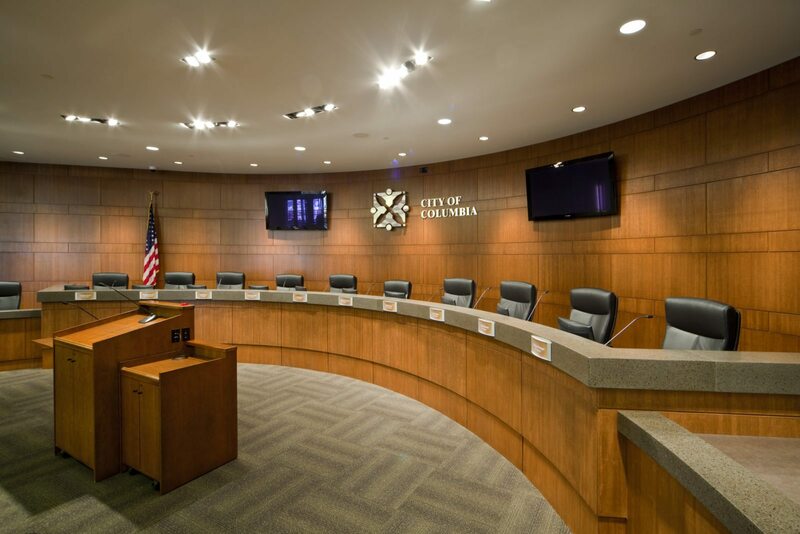 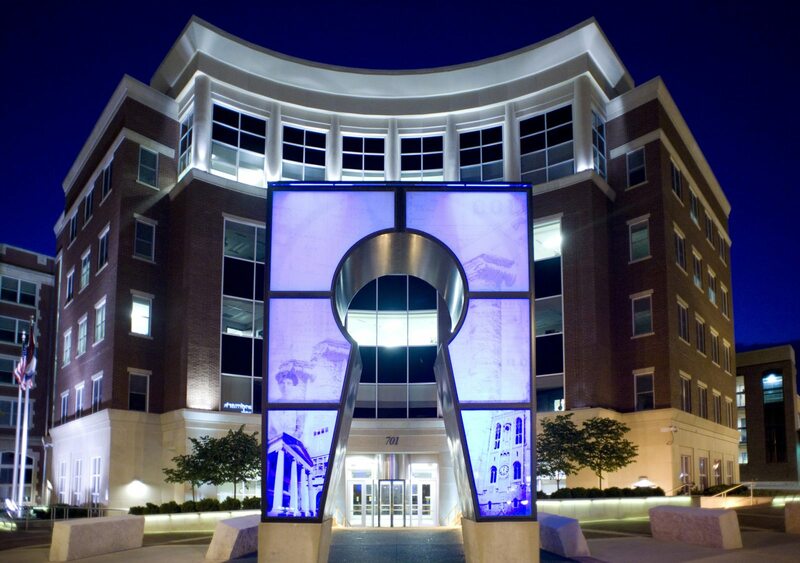 The Columbia, Missouri Government Center Complex was the culmination of a multi-phase project over an eight year period: Government Center Master Plan, renovations of the historic Howard & Gentry buildings, construction of the new Government Center tower, and renovation/adaptive reuse of the historic Boone Hotel – original City Hall. 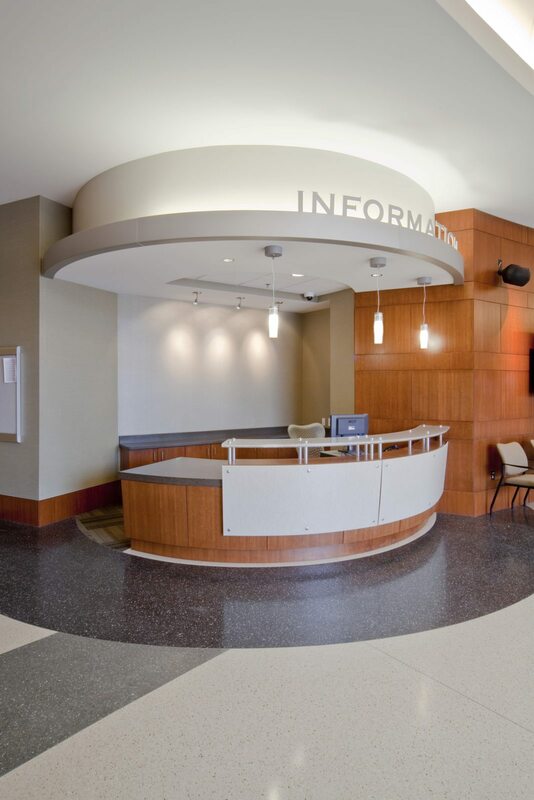 The first phase of the New City Hall project involved the renovation/adaptive reuse of the first floor of the historic Boone Hotel, existing City Hall, to accommodate Treasury Management and Utility Customer Service. 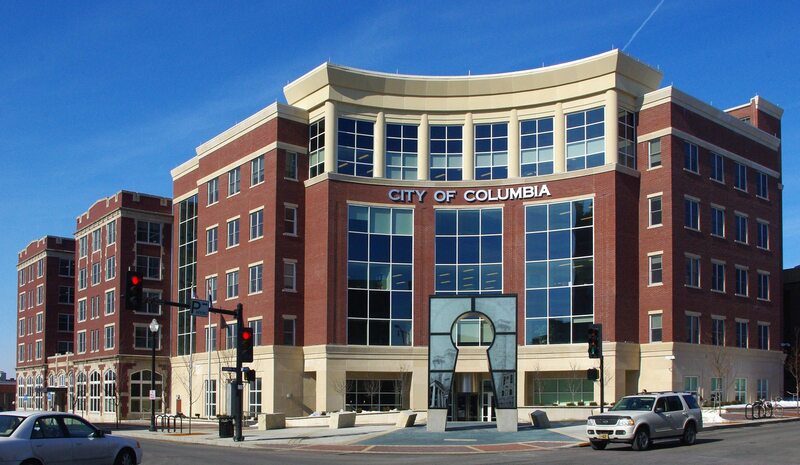 Following this work, the new 5-story, 60,000 sf City Hall tower was constructed; upon completion, the City Administration was relocated to the new tower from the existing City Hall (Boone Hotel) and renovation of the historic Boone Hotel was under taken. 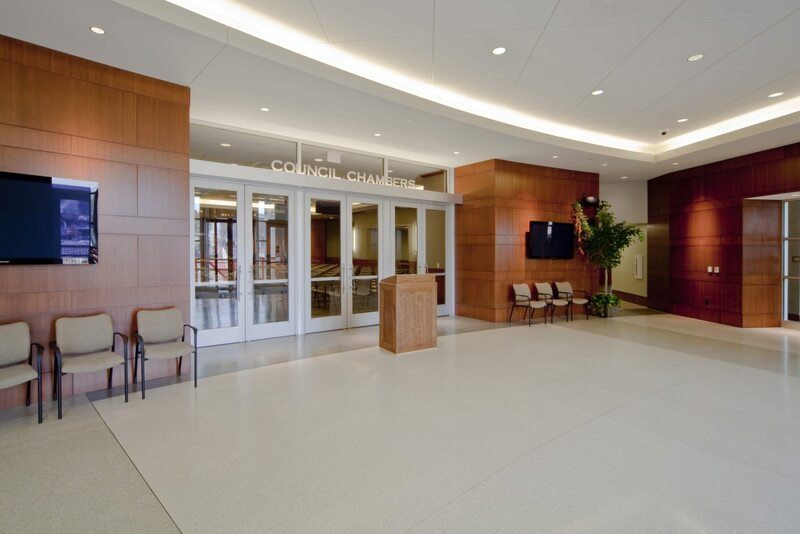 This renovation of the existing 5-story, 55,000 sf historic City Hall facility was also a recipient of the State of Missouri Historic Preservation Award. 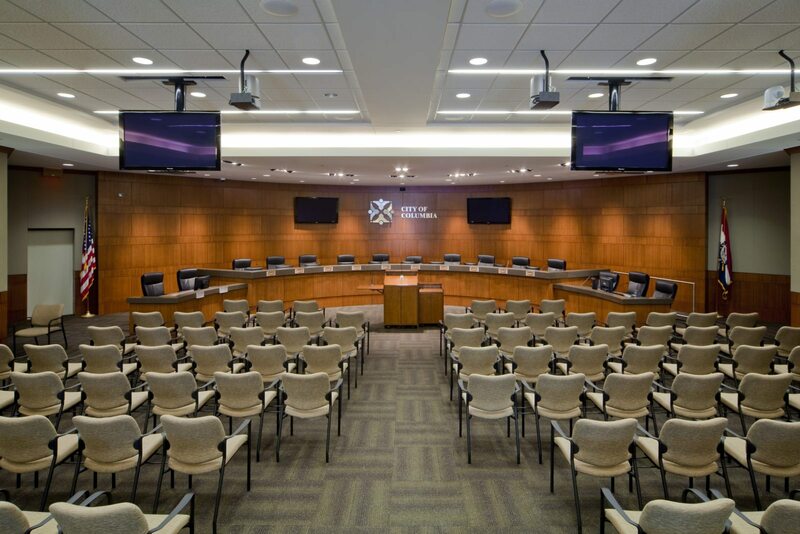 The new Government Center design is sensitive to the existing design of the 90 year old Boone Hotel, incorporating similar materials, detailing, and overall composition; complementing the original City Hall and enhancing the overall historic Downtown area.